The Smoky Mountain Grip and Lighting Co (SMGL) has expanded their growing production equipment rental services to the Chattanooga area. 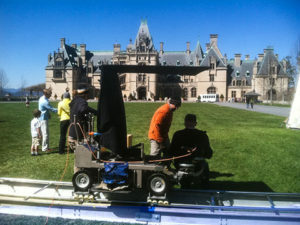 They have over 50 years of combined experience in the TV/Film production industry. 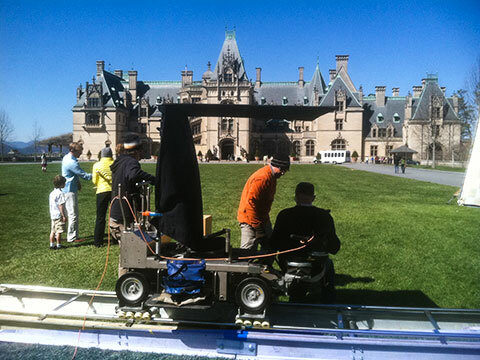 SMGL has provided grip and lighting equipment for hundreds of television shows for networks such as HGTV, Investigation Discovery (ID), Discovery Channel, Food Network, ESPN, HBO Sports, and many others, as well as countless commercials for high profile accounts such as Dollywood Theme Park, Dollywood’s Splash Country, The Biltmore Estate, Bristol Motor Speedway, The University of Tennessee, and The Tennessee Farm Bureau to name a few. SMGL has one of the largest inventories of grip and lighting equipment available in the area including the latest technology from the most trusted vendors in the industry including J.L. Fisher, ARRI, Mole-Richardson, Kino Flo, Lite Panels, and AadynTech. Grip trucks, generators, dollies, jibs, monitors, hazers, expendables, tables, chairs, etc. are all available when you need them. SMGL is looking forward to working with local production companies and crews in the Chattanooga area and providing support for any size production. SMGL can supply every item necessary to make your project run smoothly. Whether you are preparing for an annual event such as a charity fundraiser, shooting a music video, or creating a new branding campaign, SMGL in Chattanooga can help. Trust the team that has proudly served the East Tennessee region since 2003. Contact us with your equipment needs for more options. Sign up to receive latest news and offers?